I received an email last week from a Canadian distribution/installation company. The executive expressed concern about pre-primed parts ordered from Volvo, specifically the FW03156GTY, FW03604GTY and FW03678GTY. These windshield numbers were displaying a failure of the pre-applied primer. “We have been purchasing three part numbers from the Volvo dealership chain that are arriving pre-primed … this primer can be scratched off with your fingernail. OE pre-primed automotive glass parts were addressed by all adhesive manufacturers years ago. They gave us instructions on how to handle those types of parts when they arrive at our shops. Are those instructions still accurate? Is there something wrong with the frits on these parts that would cause adhesion problems with urethane and its primers? Did Volvo fail to properly prime the glass supplied to the distribution arm of the dealership group? If so, what do we do about it? How many of these windshields are out there and how many of them have been installed unsafely? I have begun an investigation on this issue and plan on making it known to everyone involved that there is a problem with these parts. However, in the meantime, I would suggest that when and if you have to purchase a part from your Volvo dealer, make sure that the frit primer is properly applied and adhered. If it chips off, refuse the part as defective. Maybe that way we will make our concerns known to our vendors. If you run into any issues similar to those described above, please send the details and a photo of the part in question to bob@autoglassconsultants.com. Should You Fix Someone Else’s Leaks? As service providers, we want to please our customers, not only as a good business practice, but also for additional revenue. If someone brings in a leak or malfunctioning mechanism, we want to help. But should we? Fixing a malfunctioning door glass or moveable part is a no brainer, fix it and charge accordingly. However, you may want to think again when a potential customer brings in a leaking stationary part. Was this glass replaced previously? Who did this work originally? Did they wash the glass appropriately? This is the number one reason for adhesive failure. Did they prime the glass properly and with the right product? Did they mix brands? 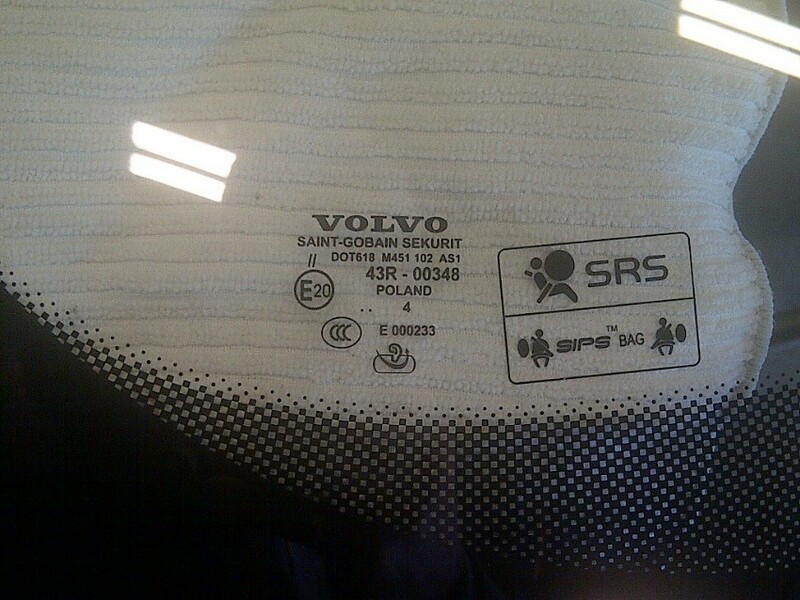 Did they use an adhesive that meets the OEM specifications as dictated by the AGRSS Standard? Did they use their greasy hands to set the glass instead of cups or gloved hands? Did they install it in the rain or snow? Did they prep the pinchweld properly to reduce contaminants? The answer for most of these questions is often “I don’t know.” And that’s the point. If you don’t know if the glass was put in properly in the first place, do you want your name and your reputation associated with it? I think not. 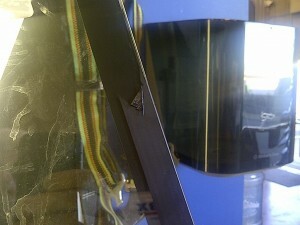 I tell my customers that I will fix the problem and guarantee my work only if a new glass part is installed. The reason is simple, you can never clean the bonding edge clean enough to overcome a previous mistake in chemical preparation. The glass frit is porous enough that the chemicals seep down into the far reaches of the surface and cannot be cleaned out adequately. That is why distributors do not accept returns of primed glass. If the customer cannot accept that option, I respectfully suggest that they take it back to the company that replaced it in the first place. Their warrantee applies and I cannot honor another’s guarantee. Even if the vehicle owner offers to pay you to seal a leak, the original installation is still intact with all of its strengths and weaknesses. How sure are you that the rest of the installation is bonded solidly? You don’t know. What happens if you decide to ignore my advice and fix your customer’s leak anyway? You will tell yourself that you are building goodwill with the customer and you are probably right. However, now the vehicle is involved in a collision and injuries occur. What was the last automotive glass company to work on the vehicle? My suggestion is that you let everyone fix their own mistakes and you take care of your own. If you want to help out a disgruntled customer looking for help, do so without putting yourself in a liability situation you don’t want to have. While at a recent training venue, I was shown a technique that had never previously crossed my mind. It is so simple in its implementation that I had to share it. The Honda Pilot has side moulding clips that frequently break upon removal. These are the mouldings with the plastic-welded clips attached. The clips are double flanged with four levels of bite that must be carefully released by depressing the four bite levels and carefully lifting at the same time. No matter how careful you are in releasing them, one or more of the plastic welds always seems to break. What a hassle. While at my Auto Glass University a few weeks ago, Jason Horne from Equalizer did something that I have never seen before. He re-welded the clips to the moulding. He did it with the use of a pocket slot screwdriver and a torch. 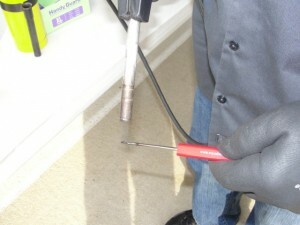 He heated the screwdriver with the torch until it was red hot. 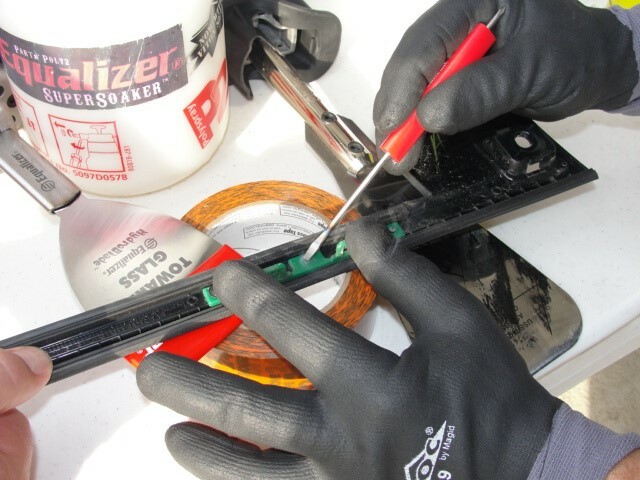 Then he positioned the clip onto the moulding and touched the hot screwdriver to the plastic protrusion of the broken weld. The screwdriver melted the shaft of the protrusion and created a new weld. It worked perfectly. After he made the repairs, we all came up with other ideas for repairing these types of moulding clips. Some, playing off Jason’s idea, suggested a soldering iron rather than a screwdriver and torch. 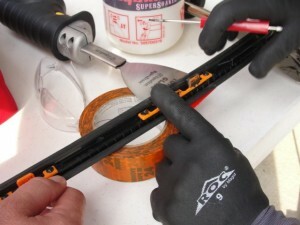 Others suggested a quick drying adhesive like super glue or epoxy. I have always used super glue myself but this method is far better and easy to do.